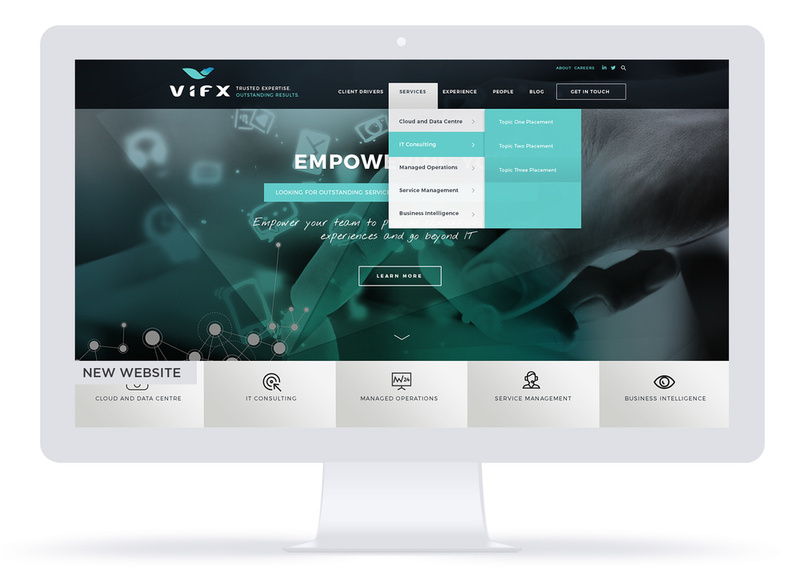 A leading IT infrastructure and cloud transformation consultancy, ViFX wanted to convey their fresh new look with an innovative website. Create a website that reflects ViFX’s new brand and visual identity, and acts as a lead generating tool. The website was designed according to qualitative buyer research. Following this research, content was created which appealed to each of the different buyer personas within ViFX’s target market. HubSpot marketing automation software was tightly integrated with the website so visitor activity could be utilised in marketing campaigns. The resulting website takes each user on a journey, and is helping to position ViFX as an industry leader.